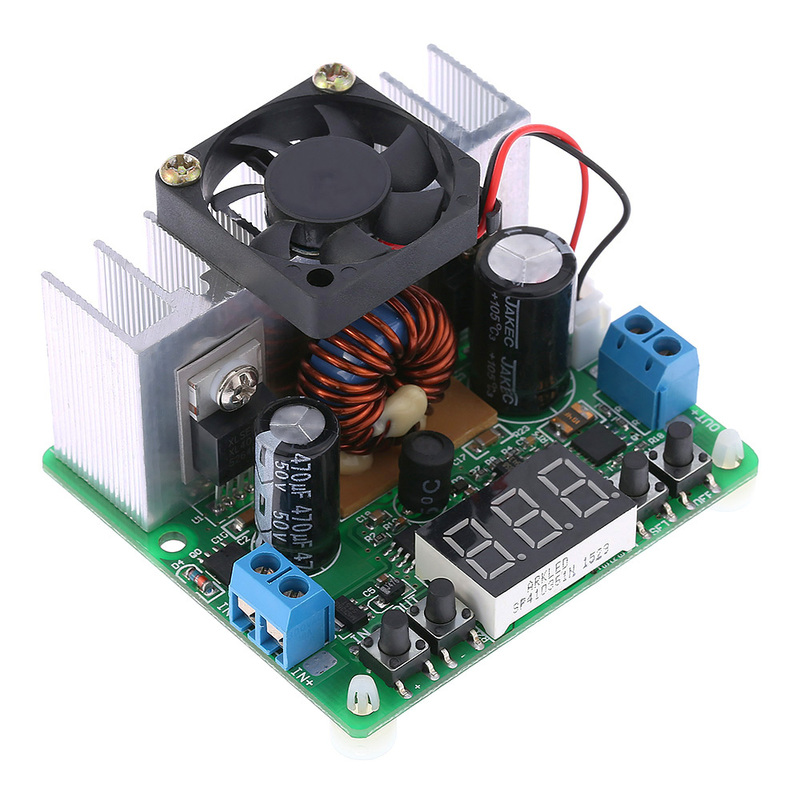 This DC-DC power supply module is a digitally controlled step-down power with digital display, high power, high efficiency, stable performance. 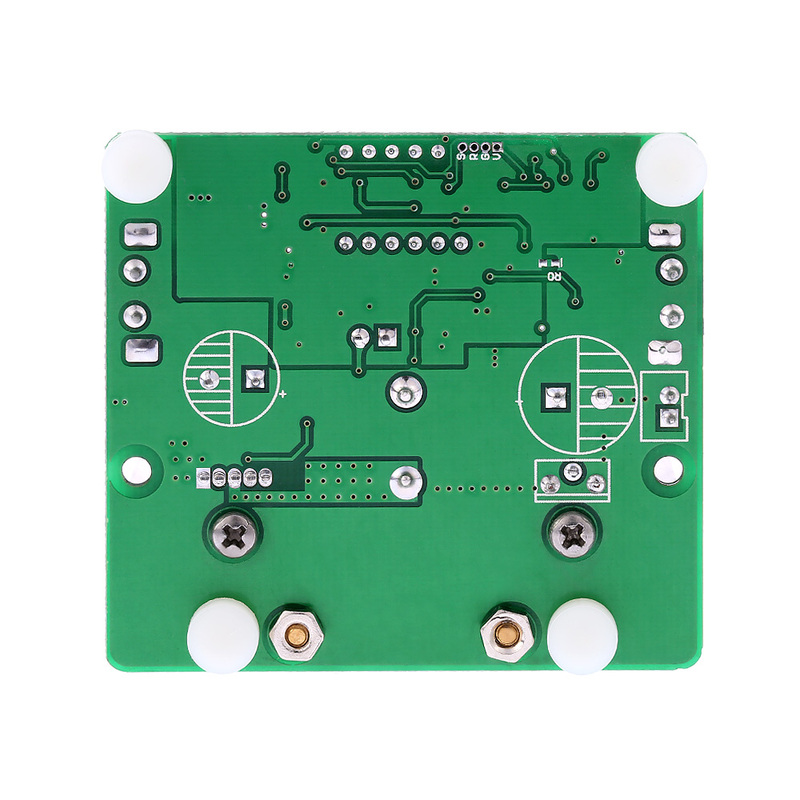 Input voltage 6-40V and output 0-38V; with LED digital display, it can display the output voltage/current other parameters in real time. 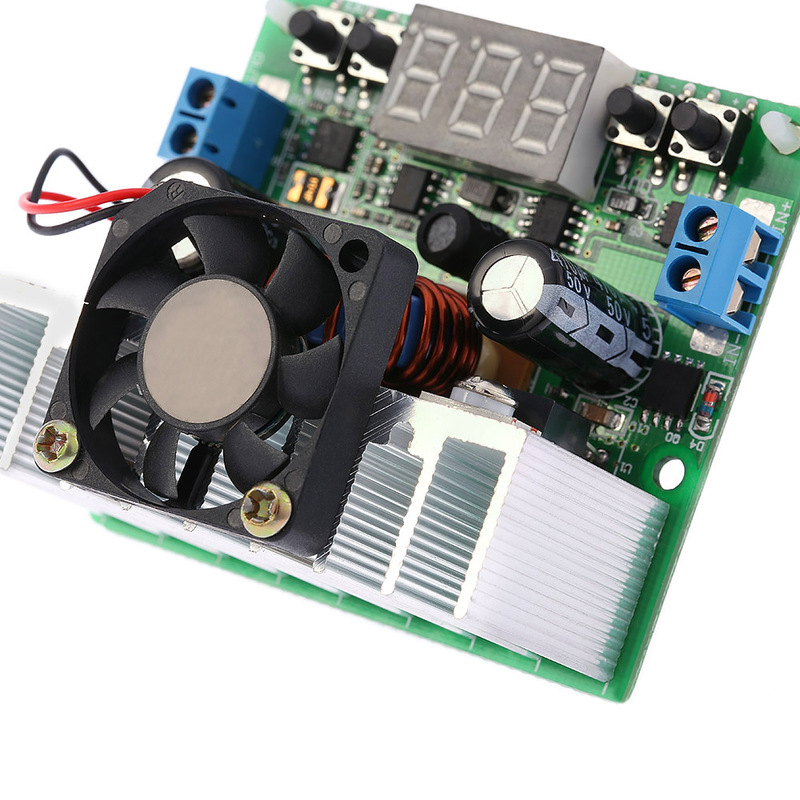 Can precisely regulate the output voltage and current. Fully digital display, easy and convenient to use. 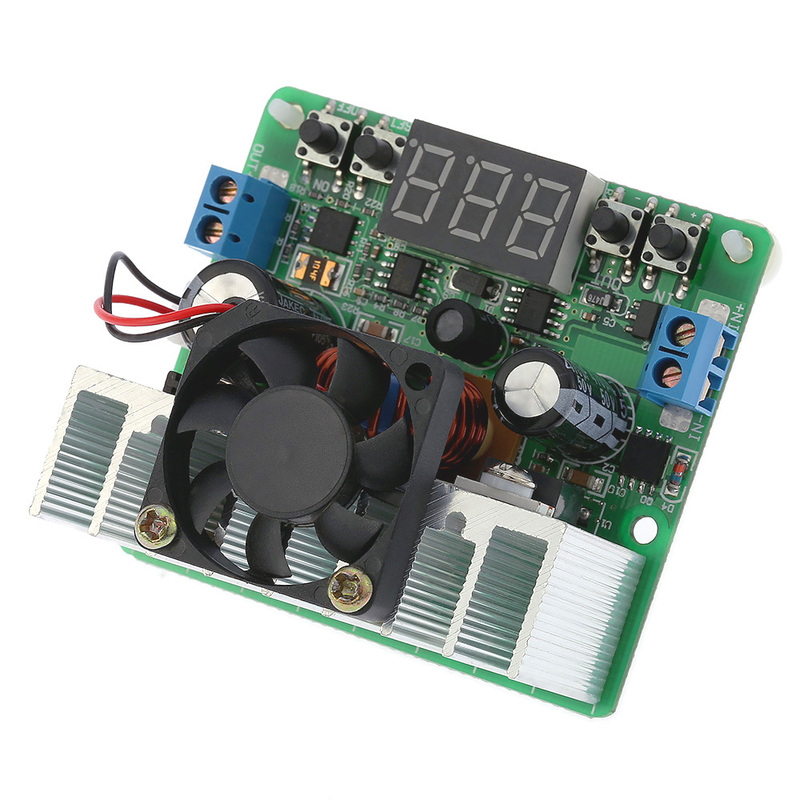 Digital LED display the output voltage, current and other parameters in real time. Protection function: reverse connection protection (no short-circuit protection). Open or close output by pressing "ON/OFF" button. Can set output voltage by pressing "SET" button. Switch input and output voltage with "IN" and "OUT" buttons. Before operate the button, please notice the character beside PCB carefully in advance to ensure know the function of each button. 1. ON/OFF key is to control output voltage. 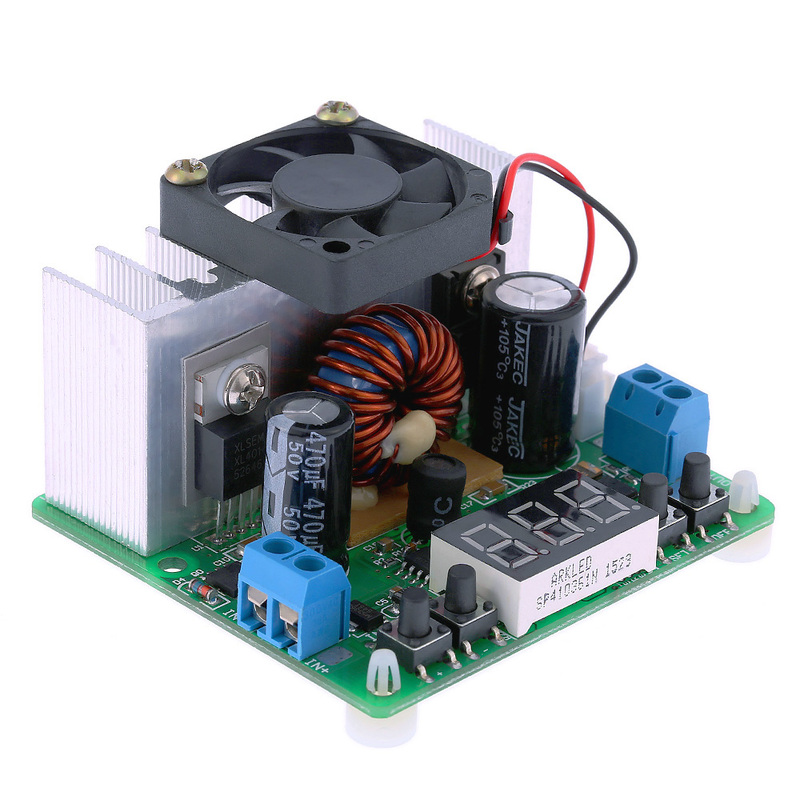 When connect the power supply, the module show the default output voltage. Press the button one time, the output voltage function is closed, press it again, it can work, followed by recycling. 2. The two buttons on the tube left (IN key and OUT key) can switch the tube display between the current input voltage and the current output voltage. 3. SET key is to set output voltage. Press SET shortly, the decimal places of output voltage will be flashing. It shows this place enters into the set mode. You can press the two buttons (+ key and - key) on the tube left to increase or decrease the value. 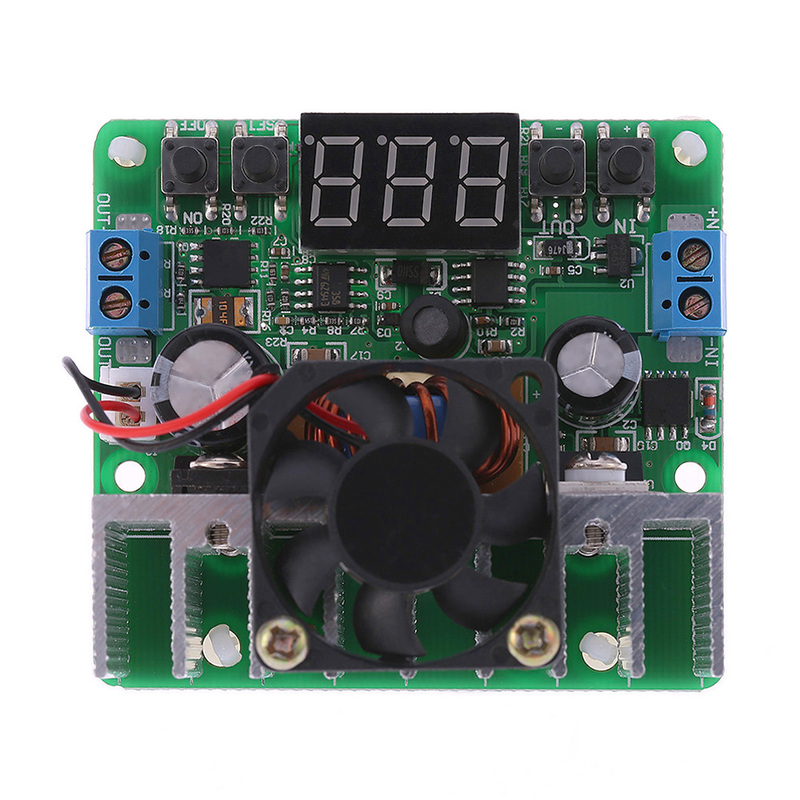 So you can set the output voltage increase or decrease. After choosing the needed value on decimal place, you can press the set button again; the integer places of output voltage will be flashing. It shows this place enters into the set mode. You can use the same to control the two buttons get the value you need. After get the value you need, you can press the SET key to quit this set mode; if you don't press the set key, the set mode will be automatically exited after 6s and the current set value will be automatically stored.